No matter your ability level or experience, there’s always a new level to achieve and new skills to unlock. If you’ve been taking photos and shooting videos with your smartphone or camera for a while, maybe it’s time for you to get off the ground (pun intended) and make the sky your new playfield. 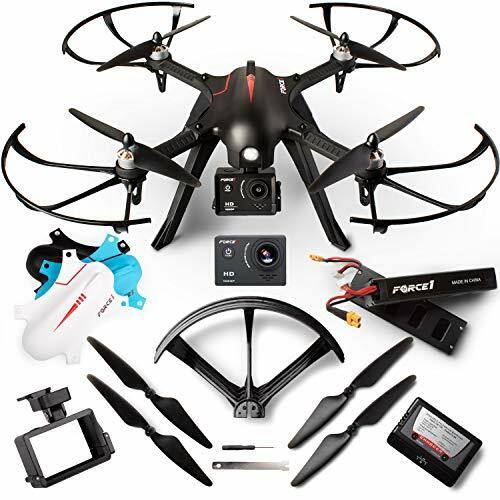 What’s better to do that than a good drone with an excellent camera that can snap pics and vids while you’re controlling it from the comfort of your seat or couch? Whether you’re a professional, beginner, or just a casual photographer on a budget, you can always find a drone that suits your needs, level of expertise, and budget. You don’t need to do any research though, as our testers have already taken care of that for you. Why the wait? Let’s delve into the best flying drone with camera list right away! If you’re just starting out with camera drones, the last thing you need is a bulky device or one that offers too many settings that you’re not going to use anyway. That’s what DJI’s Mavic Air drone, one of the smallest product in DJI’s Mavic catalog, is trying to avoid. 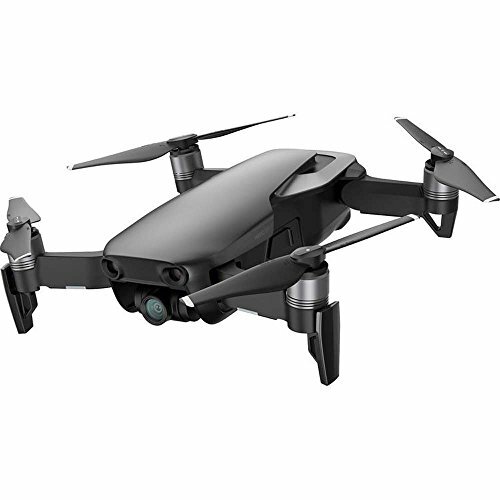 Despite its small, foldable body, this 4k drone doesn’t disappoint when it comes to smart features, convenient functionalities, and professional video shooting capabilities. Dji has a wide selection of drones on both the consumer and professional levels, but the Mavic Air earns a special position between them. Thanks to its 12.0MP camera with Adobe DNG RAW support, it can snap 4K/30p videos at 100 Mbps, which you can stream on your device through built-in Wi-Fi connectivity, making this model hard to distinguish from its professional rivals. Conveniently, the Mavic Air comes with 8GB of internal storage. Although that may enough for a couple of videos, you may need to offload the storage frequently if you’re one to shoot videos continuously. When folded into the travel mode, this drone becomes so compact that you can transport it inside any travel bag with ease. The easy-to-use remote controller is equally convenient and ergonomic, as it boasts a foldable, low-profile design that allows for easy smartphone mounting when you’re flying your drone around. Compared to other models from the same series, the DJI Mavic Air is lighter, faster, and more stable. Besides, it comes with a plethora of intelligent features that make controlling and shooting videos a breeze, such as DNG Raw support, the D-Cinelike color profile, and the sophisticated obstacle avoidance system, which allows it to avoid obstacles in all directions. Another feature that we really dig and that makes this drone a true winner for beginners is Dji’s APAS, or Active Pilot Assistance System, which is an enhanced flight safety measure that allows the drone to move around obstacles rather than stopping when facing them. If you’ve never tried controlling a drone before, that would undoubtedly come in handy when you’re flying the DJI Mavic Air. Because it relies on Wi-Fi rather than DJI’s more robust Lightbridge or OcuSync signal transmission systems, you may face some difficulties live streaming or controlling this drone in cities or high-traffic areas, but as long as you’re not too far away from the drone, you’ll be fine. The DJI Phantom 4 Pro V2.0 combines the dimensions of a compact size drone with extensive control settings and a camera of a professional photographer and video shooter. DJI’s Phantom 4 Pro V2.0 comes with a camera that’ truly worthy of a real professional. Not only does it boast a three-axis-stabilized mount camera with a 1-inch, 20 MP sensor, but it can also shoot 4K DCI – also known as Cinema 4k or C4K – videos at 120 frames per second. If you’re a professional pilot/photographer looking to snap some cinema-worthy shots, you’ll certainly like that extra feature and wider aspect ratio. Our testers certainly did. 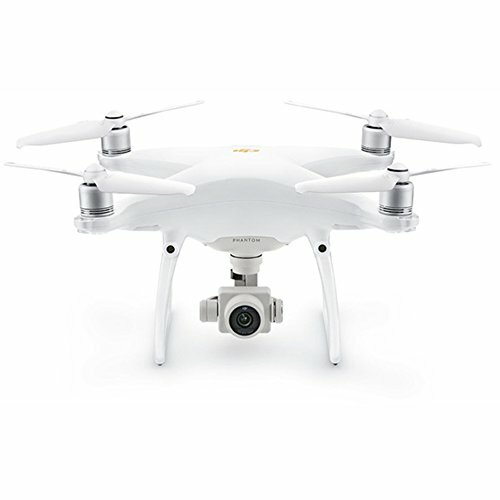 Furthermore, the new version of the Phantom Pro has a huge advantage over its predecessor, the DJI Phantom 4 PRO, which is the global mechanical shutter, giving it superior capabilities when recording fast-moving action shots, thus adding to the cinema shooting features of the Phantom drone. The global mechanical shutter makes the Phantom 4 Pro 2.0 suitable for another kind of professional use as well; automated mapping missions, as this drone’s camera can generate maps from photographs taken while it’s on the move. For easy and smooth transmission, the Phantom 4 Pro 2.0 uses DJI’s OcuSync technology. The net result is a low-latency digital HD video transmission and an improved flight experience over the range of 7 km even in high-traffic areas and cities where Wi-Fi signals can be easily disturbed. As far as the flight and controls go, DJI’s Phantom 4 Pro V2.0 is quite the tool for the pro, as it comes with a 5-Direction Obstacle sensing and 4-Direction Obstacle capability thanks to several cameras and IR sensors. You can’t even imagine how many times that feature saved our testers when piloting this drone in the city. All in all, for a professional videographer, mapper, or photographer, the Phantom 4.0 V2.0 is an ideal camera drone capable of producing the finest videos at the highest resolutions. Although the Phantom 4 is an excellent choice for professionals, its close rival, the DJI Mavic 2 Pro, is more suitable for hobbyist and passionate photographers looking to snap fascinating pictures and record amazing videos in different conditions and light settings with streamlined controls. When putting the photo and video capabilities of the drones in the reviewed batch to test, our team found that the DJI Mavic 2 Pro offers the highest quality. 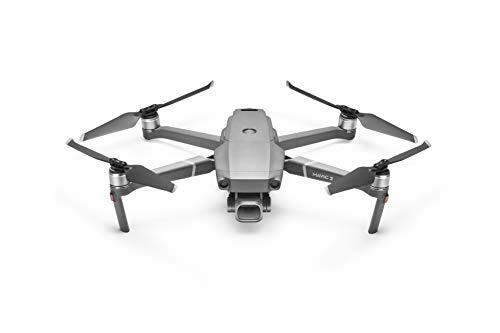 Compared to the Phantom Pro 4.0, the Mavic 2 Pro boasts an improved Hasselblad-branded L1D-20c camera with 10-bit proprietary color profiles that can guarantee excellent-looking photographs no matter the situation and location. No need to spend hours editing your pics after every session. Thanks to these Hasselblad color profiles of the DJI Mavic 2 Pro, your viewers will be blown-away immediately. 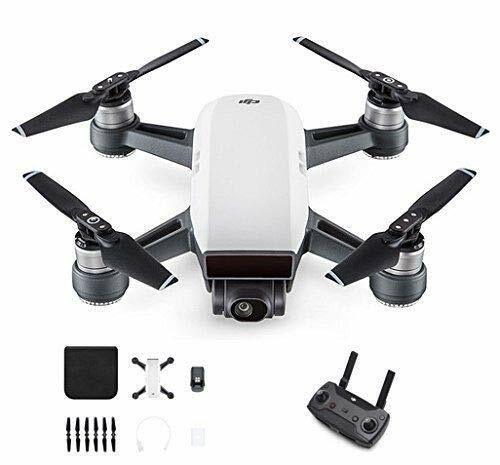 For videos, this drone can record 4k movies with ease, and it comes with a 4k HQ mode, which allows the DJI Mavic 2 Pro to use only the central area of the sensor to record videos for a more cinematic effect. Add that to the unobscured field of view and the super-steady gimbal, and you’ve got yourself a winner when it comes to photography and videography. As far as the standard features go, the DJI Mavic 2 Pro doesn’t disappoint, which justifies its high price point. You get 8 GB of storage (which can be extended to 128GB using an SD card), 44-mph speed, ActiveTrack 2.0, Omnidirectional Obstacle Sensing, and 31 minutes of flight time. Quite the powerful combo, isn’t it? What are the downsides of the DJI Mavic 2 Pro? Nothing much, really. The 4k processing is software-based, unlike the Phantom Pro 4, which relies on its hardware to take care of that. It’s easy to see why the Mavic 2 Pro uses soft processing though, considering its compact size that doesn’t allow for many parts. If you’re an avid traveler, the above options may not be suitable for you. While all of them are rather compact, they’re not as small and travel-sized as the Dji Spark. The Dji Spark is a solid mid-range camera drone. Most appealing is the size: for under 500 bucks, you get a pocket-sized drone that you can easily take with you on any adventure. Despite that, you get all the features you’d expect from a drone in this category, including a built-in camera capable of filming 1080p FHD videos and snapping 12MP pics thanks to motorized stabilization. When pushing the Spark to the limit, we found that it’s quite capable for the price and size. This drone can easily fly at an impressive 31-mph speed for 16 minutes straight. We tried it both indoors and outdoors, and our testers found it easy to navigate and pilot either way, with a multitude of flight modes (including a fast sport mode), a built-in GPS system, and a 3D obstacle-detection system. It even boasts some smart features that you rarely find in drones within this price range. For instance, you can use your hand to control some functions as part of a gesture control system. Combining this groundbreaking gesture and facial recognition technology, this might be the ultimate selfie drone! Despite a long track record and plenty of happy customers, the DJI Spark ends up near the bottom of our list because of its limited photography capabilities and somewhat fragile propellers compared to the above drones. 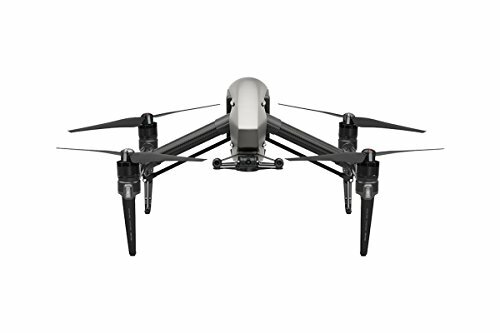 Nevertheless, for the price, this is an excellent portable travel drone that’s durable and easy to control, and that can produce some good photos and videos. It’s tough to find a decent drone with a camera for under $200, but the Force1 F100GP Ghost accomplishes just that. Blending compact size, easy controls, and a decent camera, the Force1 F100GP Ghost provides enough features and capabilities for any hobbyist drone pilot looking to delve into the world of drone photography. A unique feature within this price range is the full HD 1080p video recording. While not as impressive and sharp as 4K, it’s certainly enough to make this drone a winner in the sub-150 category. Thanks to the impressive built-in camera, our testers were able to snap some pretty neat video all across the countryside. If the integrated camera isn’t enough for you, you can easily use your own GoPro thanks to the convenient GoPro-specific mount. Another feature that we dig is the premium brushless motors, which are a big step up from the noisy engines we’re used to seeing on a budget model. The remote control proved to be equally decent as well. Not only is it enjoyable to use, but it’s also easy to control, making the operation a breeze when using the Force1 F100GP Ghost. For the price, the Force1 F100GP Ghost can fly pretty well and for a fairly long period. It can perform 360-degree flips mid-air and keep flying for 15 to 17 minutes with ease. On the field, that was more than enough to snap some good pics and videos by our team. The battery is pretty good, and this drone comes with an extra battery for you to quickly get it off the ground when the first runs out. For a professional videographer or drone photographer, that wouldn’t be as impressive though. When choosing a camera drone, the first thing that you need to examine is – hey, surprise! – the camera. That’s the main feature of this device, and it’s the one that allows it to perform several professional tasks in various fields, such as agriculture, real estate, law enforcement, construction, etc. Out of the reviewed batch, the new DJI Phantom 4 Pro V2.0 offers the best video quality as it can shoot 4k videos at 60 fps through a 20MP 1″ CMOS sensor with adjustable aperture. Furthermore, DJI’s Phantom 4 Pro V2.0 can snap pro-grade C4k films at 120fps Our testers enjoyed the output, which is why we’re giving the Phantom the title of the best drone with camera for professionals. The DJI Mavic 2 Pro offers pretty close results with the built-in Hasselblad color profiles, which means you don’t need to know color grading to get a stunning cinematic look. Though it relies on its software to process the 4k output. If you are seeking even more power and image quality, the Dji Inspire 2 with Cinecore 2.1 image processing system comes to mind. Advanced camera controls are another feature to keep in mind. With an ever-growing market, new features emerge on a daily basis. Among these features are ones that are dedicated to automating camera controls. The most common ones are the Region of Interest and Follow Me modes. The Region of Interest basically means that the drone’s camera will focus on a given area that’s defined via GPS. This mode is especially useful for marketing events, real estate, or monitoring construction and buildings. As a result, the user can do preprogram a flight path and use the Region of Interest mode to monitor a given location without doing much work. On the other hand, Follow Me means that the drone will focus on the operator while following a manual path or being on autopilot mode. This mode is perfect if you want to film yourself doing any kind of activity outdoors or doing extreme sports without relying on another person to manually operate the camera drone. The Follow Me mode functions via a location beacon that is worn as a necklace or on the wrist. Again, the Phantom 4 Pro got our testers’ thumbs up in this department. Besides the hardware component, don’t be so quick to dismiss your drone manufacturer’s software. For instance, there are programs that allow for smooth video editing and publishing. This can help alleviate the tedium of the editing process. Some of the newer camera drones allow you to view and edit video that you’ve just filmed with your drone. Pretty cool, right? A great example of this would be DJI drones as they offer a free mobile app for video editing called the DJI Video Edit. This downloadable app comes with every Phantom and Inspire drone, giving the Phantom Pro 4 V2.0 reviewed above the edge over the other models. Additionally, this app will run on the very same device used for GPS tracking, flight planning, telemetry, and live video feeds. This setup greatly decreases the tedium of the video editing process. When testing the app and processing the videos recorded with the above drones, our testers found the Phantom to be the best drone with camera in terms of simple editing, especially that the 4K processing is hardware based, which means that the output is almost ready for publishing as soon as you finish recording. When it comes to flight controllers, there are a couple of types that you can find on the market today. On the lower end of the spectrum, you can find simple flight controllers like regular 6-axis RC flight controllers. On the higher end, however, you can buy tablet-based controllers that come with a lot of fancy, sophisticated features, like a map overlay, flight status, waypoint control, and the ability to live steam video. All of this being on a single display. You can find flight controllers that are sensitive to touch which allow you to manipulate video stream and status windows and fly at the same time. Different drone manufacturers offer difference software that comes with their flight controller. Each software has its own unique features, and each brand aims to outperform its competitors. Having said that, there are some vital things you should keep in mind when you’re looking for a flight controller. Manual Flight Control: When it comes to flight controls, we recommend you go with a 6-axis control by using the twin sticks. Don’t be tempted by fancy designs as they are usually not as reliable as a 6-axis control scheme. Telemetry Data Streaming: Telemetry data streaming basically means that the controller provides flight and equipment status in real time. This is extremely useful especially if the drone is out of your line of sight. Simply put, telemetry data streaming can save you a lot of money in the long run as you’ll be able to control your drone better no matter the place. Flight Control Frequency: The majority of cameras on today’s market either use a 2.4 GHz or 5.8 GHz frequency band when it comes to flight control. Some flight controllers come with the option to switch between both frequency bands which is very useful. This feature really shines when you’re using the drone in an urban or suburban environment where one of the bands can become unavailable due to too much interference. Battery Life: Probably the most critical factor to take into consideration. You need to know how long your controller is capable of staying functional without a battery swap. You wouldn’t want a controller that can only last for 30 minutes as that’s not nearly enough. You’d probably want to aim for something higher than that, preferably over an hour. If you want to make high-quality videos that look smooth and professional, then you need to plan your drone’s flight. You can achieve this by using special software, or you can do it without it. Having said that, built in flight control and planning software is vital as it allows the user to just focus on filming great shots. Top of the line camera drones such as the Phantom 4 Pro V2.0 comes with built flight planning and control software that allows you to plan your flight path ahead of time visually by marking a waypoint on a map of the region you’re flying in, which makes it the winner in this department. Standard GPS: Standard GPS only uses a single GNSS receiver chip. It stays accurate in one- or two-metes range. This is the most common type of GPS you’ll find. Redundant GPS & GLONASS receiver: These are most suited for crowded places. You won’t be worrying about losing your drone if it’s using such a system. Parallel GPS: Similar to the standard GPS in its mechanism. However, instead of using a single GNSS receiver, parallel GPS uses two GNSS receiver or more. Being highly accurate, parallel GPS is especially handy in locations where you need to be highly accurate. Generally speaking, standard GPS should be enough for the majority of people. With that said, if your job requires you to be extra accurate and meticulous, then you might be inclined to use a more advanced system depending on the situation you’re in. After testing the reviewed batch in different environments and locations, we found a close draw between the different drones. If you’re looking for a no-frills drone that’s easy to control and move around, the DJI Mavic Air is a no-brainer. Despite its simplicity, it offers a great deal of features and an excellent camera, thus making for a complete combo for a beginner. Real-time object detection is the hottest features when it comes to camera drones you can find on the market today. This feature allows the drone to detect nearby obstacles by visualizing the terrain in 3D. What’s impressive about this technology is that it’s all in real time. Automatic collision avoidance is actually quite new. This feature seemed like a dream before. However, thanks to technology’s exponential growth, it is now a reality. As we mentioned before, automatic collision avoidance is possible thanks to real-time object detection. As you have probably come to expect at this point, the Phantom 4 can pretty much detect objects that might block its way, and it automatically changes its route in order to avoid them. This feature grants numerous advantages. For one, it will dramatically decrease the chance of your drone crashing or being damaged by obstacles. Additionally, automatic collision avoidance implies simpler flight planning with no added risk. Thanks to the drone’s ability to automatically reroute around objects, you don’t have to worry too much about missing objects such as light poles or small trees. Leave it to your drone, and it will handle everything on its own. While this sounds fairly easy in theory, you’ll find that this handy feature might come in the way of getting the shots you need, so you’ll probably need to plan your shots again accordingly. On the bright side, you can rest assured that your precious drone won’t be destroyed in the process. No matter what you’re planning to use the drone for, flight time is a critical factor. The majority of quadcopter flying drones can fly up to 25 minutes. However, this time doesn’t account for the time it takes for you drone to reach its target. This means that most camera drones will only be able to shoot for 10 or 15 minutes at best before having to go back to base. If you need it to fly for longer, then you might want to consider a fixed-wing drone as they are capable of operating for upwards of 60 minutes. However, this comes at the cost of maneuverability and flexibility when it comes to filming. On the other hand, if you have extra money to spare, you can use more than one drone to film certain sections of the flight path of your shot. When putting the drones to test, we got a draw between the DJI Mavic 2 Pro and the DJI Phantom 4 Pro, both of which performed pretty well and could fly for half an hour. Next came the DJI Mavic Air, which kept flying for 20 minutes. The F100G and DJI Spark got the last position with around 15 minutes of flight time each. This shouldn’t be an issue as most shots will be focused on a building or on the ground. However, if you intend on filming birds in flight, parachutists, or anything in between, then you need to have in mind the limitations of your drone. Flight ceiling, in most cases, is artificially imposed by factors other than the drone itself. Some of these factors include the drone’s software, the range of the wireless radio, or the line of sight. If you want to up the flight ceiling of your drone, you might want to consider upgrading your flight controller to something more powerful or update your software. The majority of camera drones you can buy today cannot exceed the 50-mph mark. This isn’t taking into consideration the wind resistance which can hamper this speed. However, it should be more than enough for most people as the typical speed that is used on most videos is usually less than 20 mph. With that said, if your camera’s target frequency moves faster than 35 mph, then you might need to get a fixed wing camera drone. Alternatively, you can simply attach a gimbal onto a racing drone; that way, it can reach upwards of 100 mph. When comparing the speed of the reviewed camera drones, the DJI Mavic Air, DJI Phantom 4 Pro, and DJI Mavic 2 were pretty impressive, as they could go at around 40 mph without affecting the video quality significantly. The DJI Spark wasn’t bad at all either, with an average speed of 28 mph and a 31-mph max. When it comes to range, most ready to fly camera drones can stay operational at a range of 1 km. However, you can boost that limit up to an impressive 7 km if you choose to use wireless boosters. Having said that, weather conditions can take a big dump on the range capabilities of drones, at times even lowering it as much as 90%. The effective range of a camera drone depends on a number of different factors. The most important factor, aside from the weather, is the quality of the wireless connections that are used for the controller unit, the telemetry channel along with the video channel. To put it simply, the less crowded the frequency band is, the better odds you’ll have at flying your drone to longer distances while also being capable of streaming video in HD. The Phantom Pro 4 V2.0 excels in this department, as it has an extra-large, 7-km control range. The DJI Mavic 2 Pro has a pretty close performance. When testing the DJI Mavic Air, our reviewers could easily control it from over 4 km away. The DJI Spark and F100G, on the other hand, weren’t that impressive when it comes to the control range, but that’s normal considering their price points. Wind is to drones what kryptonite is to Superman. Pretty much any quadcopter you’re going to use, no matter how fancy, is sensitive to strong winds (around 20 to 30 mph to be more specific). With that said, if you’re going to use your drone in an environment that’s often windy, you might be better off with using a fixed-wing drone. This is a critical feature as it might make or break the deal for you. If you’re going to use your drone to film over open water, then you’re probably going to need the drone to be able to float so you can know where it lands if it splashes down. Unfortunately, the majority of camera drones on the market, the reviewed ones included, do not float. However, the few that are can still operate even after taking huge splashes. If all of this doesn’t concern you, then you still need to look for a drone that has minimal water resistance so that it can resist bad weather at the very least. When you’re using a camera drone, there are two things you need to take into account when it comes to safety. There is the safety of the people nearby and the safety of the drone itself. Return Home: This is a button that will automatically return the drone to the location from which it was launched. Auto Hover: This button can be a lifesaver, both for the drone and other nearby people. Also referred to as the “Panic Button,” the auto hover mode button stops any forward motion and leave the drone hovering in place. This mode is crucial in very windy or generally unfavorable weather conditions. It can also come in handy if you lose track of your drone and need to look for it. Prop Guards: This is mainly for protecting people from getting hurt from the propeller blades or edges. However, it also serves to protect your drone from trees and other kinds of foliage. Emergency Landing: This safety feature comes into play if the drone detects any sort of malfunction or other technical problems such as low battery and such. In these cases, the drone will attempt to make a controlled landing, or in other cases, go into the “return home” mode. Just like any electronic device, camera drones can either make your life easier or turn it into a hell on earth. That’s a bit exaggerative, of course, but it’s still critical to make a sane choice when shopping for a model in this category. Set your budget, note your needs, keep your level of expertise into consideration, and the best drone with camera for you will be obvious. Wow is DJI the best? I just bought the Dji Mavic Air and it is so fun and amazing! Highly recommended to those who just start out and want to capture very good footages.